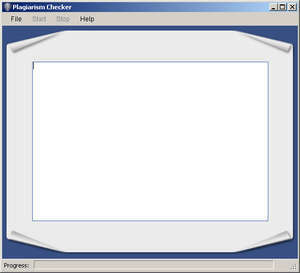 The Plagiarism Checker developed by Essay-Paper.net allows you to check your text for plagiarism in standalone mode without using third-party sites. Thus, it completely eliminates the risk that your paper will be used by someone else. Our software is very easy to use and has a user friendly interface. For security reasons, you should also check out the Plagiarism Checker download at LO4D.com which includes virus and malware tests. Additional screenshots of this application download may be available, too.